Retail Packaging of Nexus 5 Leaks, White Variant Too? Ever since last night’s Google Play slip-up that showed us the Nexus 5 in all its glory, along with its price and at least one internal storage option, we have been counting the minutes to some sort of official acknowledgement from Google. We still don’t have that yet, but we may have another piece to the puzzle – retail packaging. Posted at tech site Underkg.com (and then potentially removed), three images show what could be the retail packaging for Google’s new phone, assuming they are even real. The styling of the packaging matches up exactly to the packaging of the new 2013 Nexus 7. The device is shown half-way on the front side, but finishes off on the back, just like with the N7. 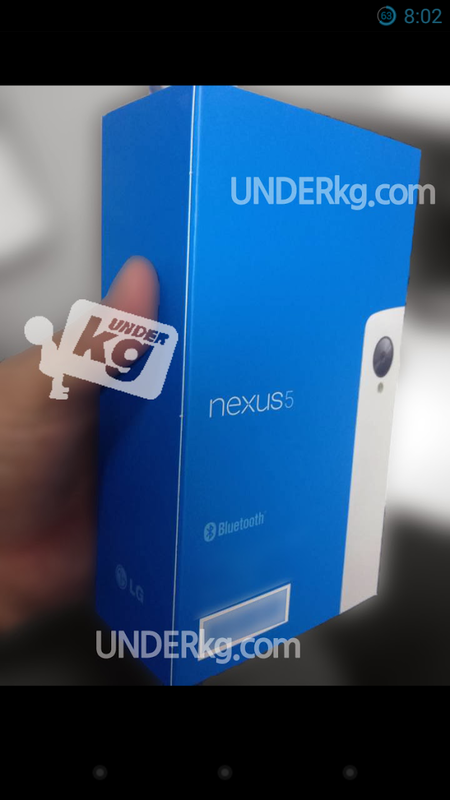 You have nothing but a Google logo on the front, along with an LG logo on the side (says Asus in the same spot on the N7 box), and the name “NEXUS5” on the back. The only odd thing here is that on our Nexus 7 LTE box, it also says the storage size and has all sorts of regulatory and test logos, like that of the FCC. But this is also not likely a U.S. retail box, so don’t take that to mean much. 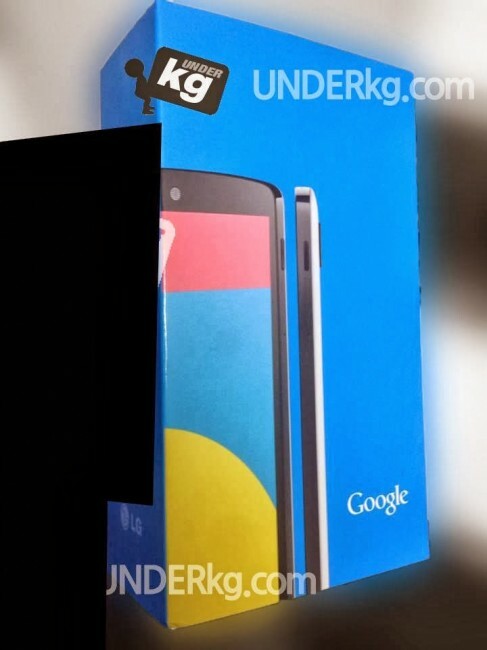 But wait, is that a white Nexus 5 on that box? It certainly looks like it is. At this point, we have yet to see a white N5 in the wild, but Google has made white versions of at least three Nexus phones to date, so it wouldn’t surprise us if they decided to provide a white option. In my personal opinion, this white theme is not exactly the way I’d go, with the all white back and black sides. To me, if a phone is white, a white backplate is not enough – you have to at least wrap the entire back and sides in white, should you decide to leave the front black (like the developer edition Moto X). But again, that’s just me. 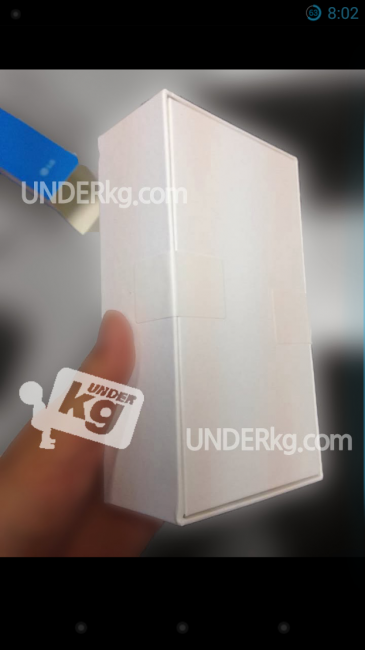 The white inner box also looks quite similar to that used with the new Nexus 7. The hypebeasting continues. Thoughts on a half-baked white version? Fake or real? Update: Anyone remember this picture? 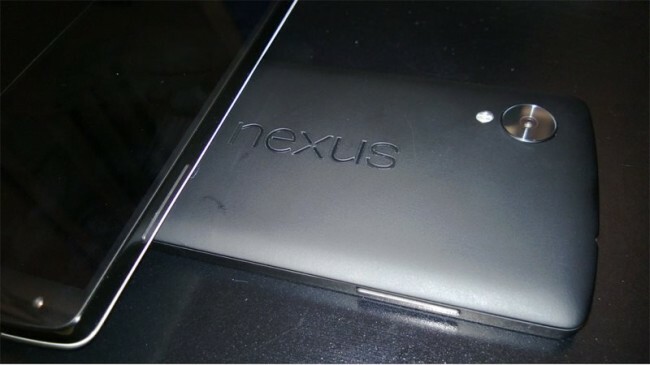 We wondered if that was a white Nexus lying face up on top of another Nexus 5. It certainly seems now like it was.